The October installment of our AIAD:COMMONS monthly program series will feature a panel of thought leaders with unique perspectives on the subject of cancer care and its evolution relative to the built environment. The healthcare industry is undergoing massive changes; in reimbursement, technology and care delivery. And cancer care is undergoing its own paradigm shift; from a fatal diagnosis to a chronic disease. Survival rates for all cancers has increased from 49% in 1977 to 69% in 2011. How has the architectural community responded to this shift? In what ways have our health care providers in southeast Michigan considered this shift, and to what degree are facilities playing a role? This panel discussion will focus on the evolution of cancer care; the introduction of new facilities and their programs to the landscape, and explore perspectives from clinicians, architects, patients and researchers alike. Attendees will learn about the shifting models, including team-based care and rapid learning environments, as well as more traditional approaches to care. The influence of architecture and design on that care will be the cornerstone of this discussion. Moderator: Kimberly N. Montague, AIA, EDAC, LEED AP | Vice President / Business Development Director at HKS, Inc.
Kim currently serves as 2018 president of AIA Detroit. 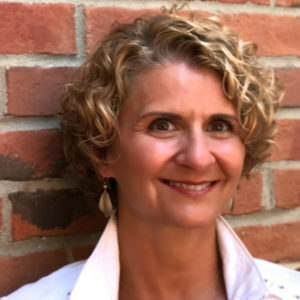 A licensed architect with more than 29 years’ experience, she has worked in many capacities including principal, project manager, healthcare planner and healthcare design strategist at organizations including Herman Miller, Planetree and Albert Kahn. Montague utilizes her commitment to the creation of truly human-centered environments to further integrate holistic design solutions in healthcare facilities. Using her architectural experience in evidence-based design, lean principles and sustainability, Kimberly helps healthcare clients realize their strategic goals for design of optimal environments. Her experience with patient-centered, staff-supportive and family-friendly design is further evidenced by her passion to creating environments that appeal to all the senses, as well as promote health and wellness. In his role at Henry Ford Health, Gene leads the teams for the planning, design, construction, real estate, environmental services, culinary wellness and security departments for six hospital health system, which have over 225 locations across Southeast and Central Michigan. Several significant projects nearing completion for the health system include: a new destination center ‘The Brigitte Harris Cancer Pavilion’, a new Center for Athletic Medicine in conjunction with the Detroit Pistons’, and a new inpatient tower at Henry Ford Allegiance Hospital in Jackson, Michigan. Prior to joining Henry Ford Health System Gene spent over 21 years leading the master planning, design/construction, engineering/maintenance and real estate functions for the TriHealth Hospital system in Cincinnati, Ohio, consisting of six hospitals and 145 patient access sites. Prior to TriHealth, Gene practiced as an architect and was part of several architectural/engineering firms in the Midwest. Gene earned his Bachelor of Architecture from the University of Cincinnati and his Masters’ Degree from Mount St. Joseph University in Cincinnati. Gene is a registered Architect, Certified Healthcare Facility Manager (CHFM) and licensed Real Estate Agent, and serves the community through board membership for several Southeast Michigan organizations. As a registered nurse and registered architect, Joyce Durham brings a valuable perspective to the SmithGroup health planning team and clients. She has 30 years of clinical, healthcare consulting and architectural experience. Her areas of expertise include strategic planning, needs analysis, operational planning, programming, master planning, and design support. Joyce is committed to using the physical environment to positively impact the delivery of care particularly in the areas of safety, efficiency, and patient and staff satisfaction. Joyce’s definition of a successful project is one that challenges the status quo, integrates innovative operational systems, maximizes the use of space, and in turn, generates the most effective and forward-looking healthcare design solution. Joyce is a Registered Architect and a Registered Nurse. She holds a Bachelor of Science in nursing and a master’s and bachelor’s in architecture from the University of Michigan. 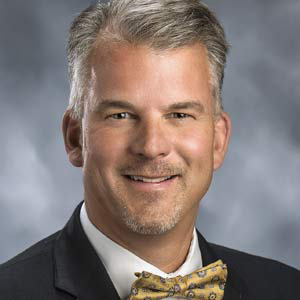 In September 2017, Beaumont Health recruited Ron Henry to join the organization serving as Corporate Vice President for Real Estate, Design and Construction. He is responsible for a project capital exceeding $300 million in annual spend. With a team of 55 Architects, Engineers, Planners, Programmers, Designers, Estimators and Real Estate professionals, his Beaumont Health in-house team provides strategy, analysis, planning, programming, project delivery and development across the 8-hospital, 35,000 employee-system including all outpatient, ambulatory and clinical locations totaling over 25 million square feet of owned and leased facilities throughout the region. 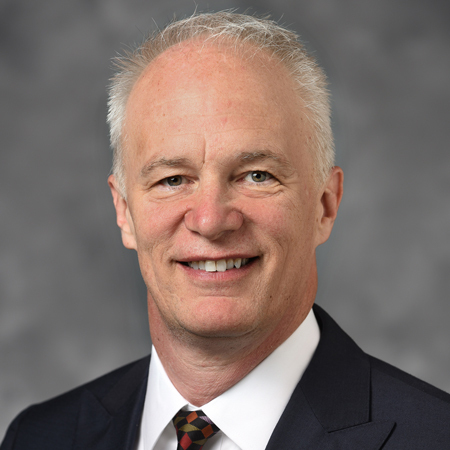 Ron has served the Engineering Society of Detroit as a Board Member and is on the ESD Finance Committee. He has participated as a judge for numerous ESD events including the 2017 and 2018 Future City competitions continuing his long-term interest working with students at the secondary education level. Ron served as a judge for the 2017 and 2018 ESD Construction & Design Awards and the 2017 and 2018 ESD Annual Awards. With his architectural expertise, Ron assisted ESD by reviewing the design and construction documents for the renovation of ESD’s headquarters last year. He has strong interest in collaboration between architects and engineers throughout the course of projects with the goal of increasing project success stories for everyone’s benefit including the owner, architect, engineer, contractor and most importantly the end users in healthcare environments. David Jaeger has been creating healthcare environments for 37 years and has designed some of the most iconic hospital buildings in the region. His background in and continued passion for healthcare allows him to provide a deep understanding of the big picture, as well as the thoughtfulness behind the small details. As a leader in Lean Methodology, his approach to the design process utilizes substantial experience and daily research to understand and exceed every client’s expectations. Some of David’s recent oncology projects include an addition and renovations to the Cancer Center at St. Joseph Mercy in Ann Arbor, Michigan; a new Cancer Center at Firelands Regional Medical Center in Sandusky, Ohio; and Radiology Consolidation at the University of Pittsburgh Medical Center’s Oakland Campus. 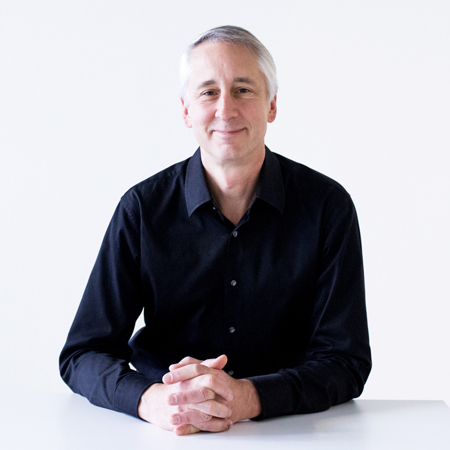 From his proven track record of project success, to his constant desire for innovation, it is evident that David is fully dedicated to designing healing environments for the greater good of society. Upali Nanda, Ph.D., Assoc. 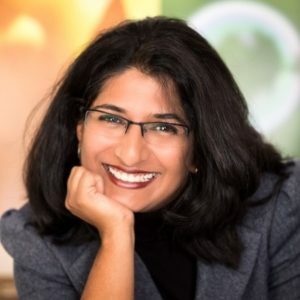 AIA, EDAC | Associate Principal and Director of Research at HKS, Inc.
Upali’s research, ranging from visual art and neuroesthetics to safety, efficiency and hard ROI studies, has resulted in more than 50 publications, and nearly one hundred presentations, including peer-reviewed conferences, invited talks and in-person and web-based CEUs. Upali regularly presents her research findings at healthcare and design conferences and has been published in architectural and medical peer-reviewed journals across the globe. Upali has studied in India, New Zealand, Singapore and the United States. Ann firmly believes that transformational projects require transdisciplinary processes as well as perspectives from beyond the AEC world, and that community engagement and participation is vital to planning and design. 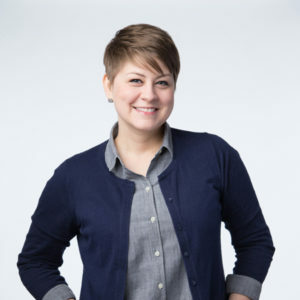 Applying her professional skills in architecture, interior design, and historic preservation, she works towards leveraging historic preservation and adaptive use as cost-effective tools to revitalize neighborhoods and urban districts. 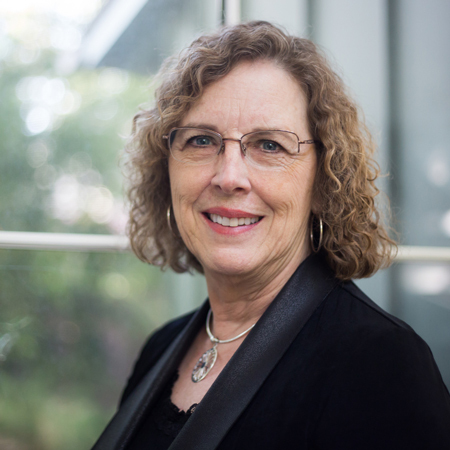 Through her focus on public interest design, she consistently advocates for and affirms the importance of the profession’s role in providing social, economic, and ecological design while creating stronger, more equitable communities and urban centers. Ann is constantly volunteering with AIA Detroit’s Urban Priorities Committee; the Committee on Diversity and Inclusion; and the Emerging Professionals Committee. Additionally, she currently Co-Chairs the planning and execution of the Christopher Kelley Leadership Development Program (CKLDP) in Detroit. When not at the office or volunteering, she enjoys reading, biking, and exploring the incredibly rich city that is Detroit–which she is proud to call home. 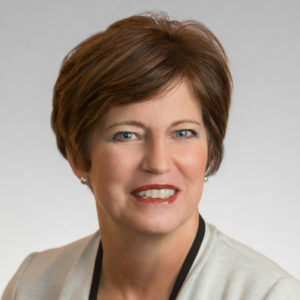 Pamela Redden, MS, BSN, RN, EDAC | Associate Principal / Senior Vice President, HKS, Inc.
Pam serves as a leader for clinical operations planning for healthcare projects. With extensive clinical and administrative healthcare experience, including 18 years at MD Anderson Cancer Center, she has been responsible for patient care operations, clinical and facility planning, and project activations. This includes inpatient and outpatient operational planning, project design/operations integration, staff transitions, clinical activation/ occupancy, and post-occupancy settlement of facility projects. Her experience includes the planning and activation of over 2.5 million sf of healthcare facilities. Ms. Redden has authored numerous publications and is a regular conference speaker, both nationally and internationally.